This system was designed for a house in Parkview, Johannesburg to supply selected Lights & Plug circuits with mains power for at least two hours during Municipal power grid load shedding and black outs. 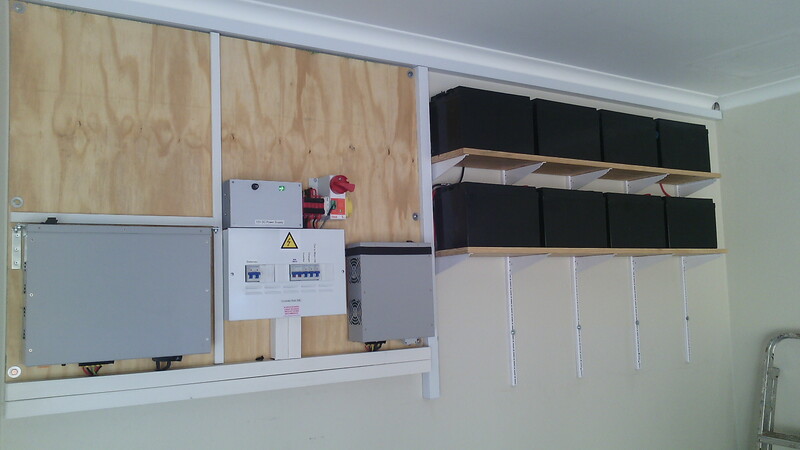 The installation consists of a Vision 3KVA Mains Inverter, a 48v Battery Bank, a Vision Charger, a By Pass Switch and a Sub Distribution board with Isolators / Circuit Breakers for the various circuits. 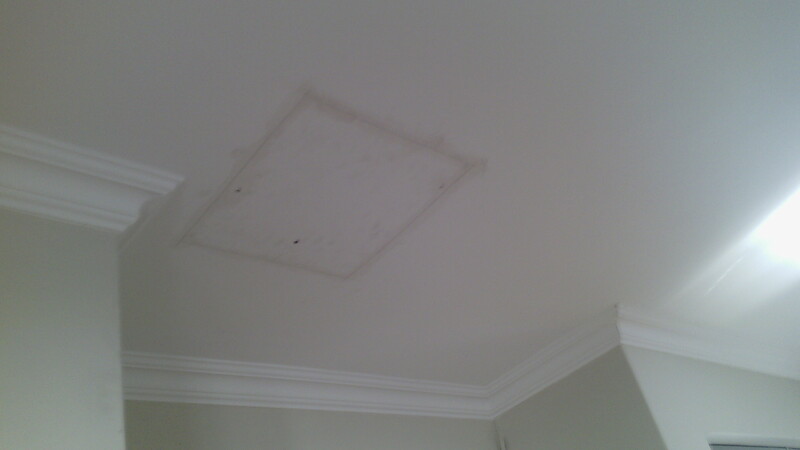 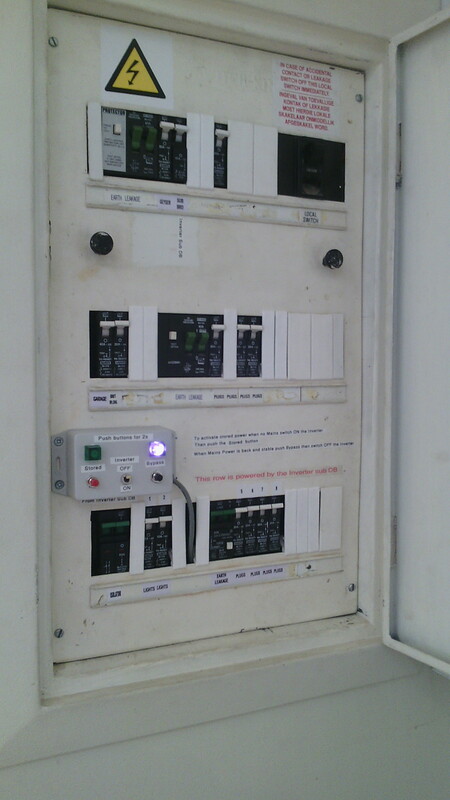 A Sub Distribution board was installed in the house along side the main db, which is powered by the inverter. Whilst the Inverter can do an automatic Mains switch over when the City Power feed goes down, the Inverter is left off and by passed during nominal power supply. 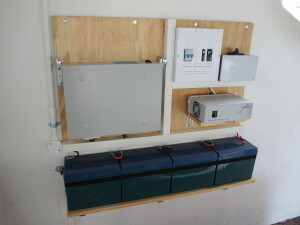 The system was tested by the client under a typical load for two hours, the battery bank still had 50% reserves. 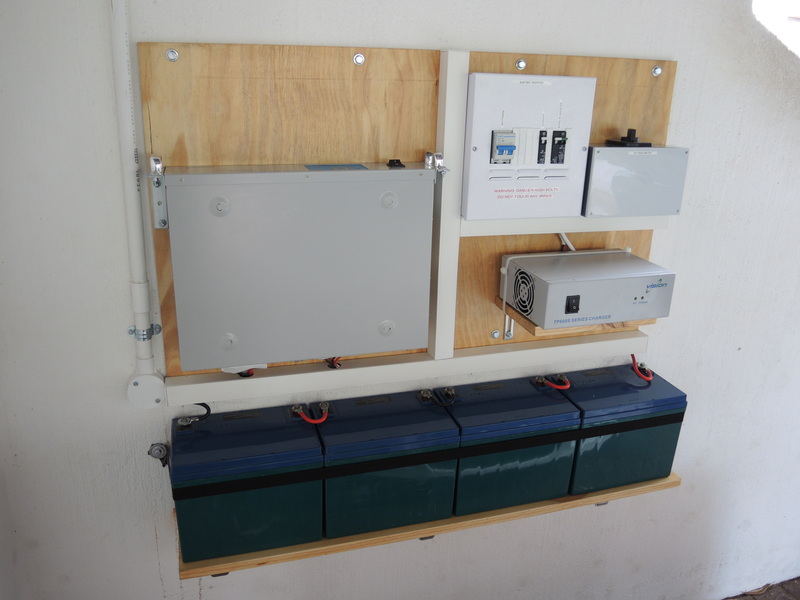 The installation was designed to be supplemented by a PV Array and Solar Charger, and upgraded with additional battery banks as required. 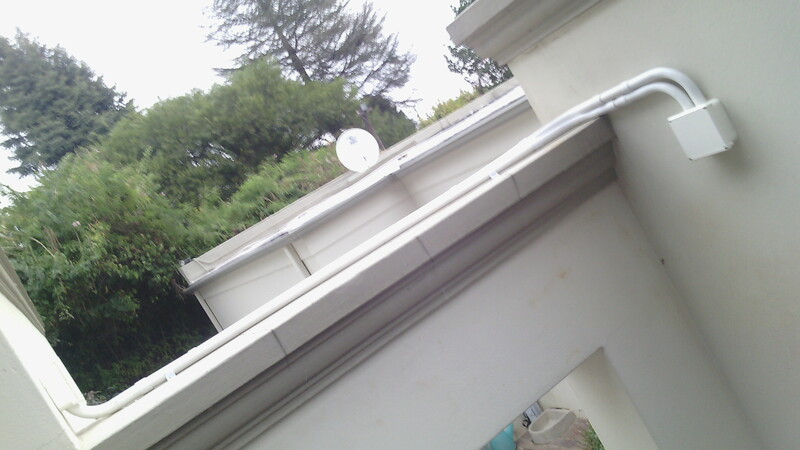 The Commission Date was 5th January 2015 .